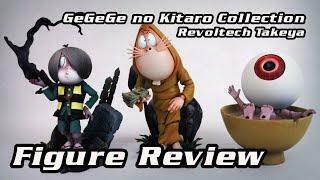 Today I’m reviewing x3 figures, hyping up for the upcoming GeGeGe no Kitaro anime later this year! I dunno why, but I’m so attracted to the look of everything Gegege~ I’m thinking of hauling all of the available manga in English. I hope you guys enjoy the video and/or find this video helpful. As I mention in the video, these figures are some of my favourites in my entire collection!